+ Ambrose von Sievers, of the Metropolitanate of Gothia is a Bishop of the True Orthodox Church (Russian Catacomb Church). It is the successive church that has escaped the persecutions of the Bolsheviks and their successive agents. His church is considered in some circles as non-canonical because of it's refusal to submit to the KGB installed church. As the escaped Andrewite Bishop did canonically consecrate +Ambrose, it is believed therefore the church of the Goths is truly canonical unlike many other jurisdictions. However, the persecutions have continued, as the Clergy have been attacked and killed over the last two generations. Hieromartyr Andrew October 4, 1907) he was “consecrated bishop of Mamadysh, the third vicariate of the Kazan diocese”. Amphilochius (Shibanov) as Bishop of Tyumen Diocese. In the period of persecutions, around 1940 he secretly transferred to Transbaikal region and took Tchita cathedra. His co-consecrator Job (Grechisvkin) was consecrated in 28th of November 1922 by Andrewites' Bishops Mark Bogolunov and Trophim Yakobchu. he was re-consecrated in 1927 by Andrew and Abbakum in Ufa. Job Grechisvkin is a very important person in the Catacombs. He was martyred in 1940. 1927 AD — Metropolitan Sergius Stragorodsky, a leading Russian bishop, declares the Church to be completely loyal and subject to the antichristian Soviet government. Several bishops throughout Russia protest against this declaration, and are forced underground, thereby forming the Catacomb Church of Russia. The Russian Church Abroad also protests. Sergius' followers later form the "Moscow Patriarchate," created by Stalin in 1943. 1928 AD — Council of Syzran-Yeltz-Vyshny-Volochok in Russia (Nomadic Synod), convened and presided over by Bishop Mark Novoselov, and attended at first by 3 other bishops and 3 priests, each representing a different Catacomb Synod (i.e. Danilovites, Josephites, Andrewites, Victorites, Yaroslavlites, Yedinovertsy, etc). This council condemns the renovationists as well as the sergianists as schismatics, declares them bereft of sacramental grace, and requires their chrismation upon reception into the Church. + Ambrose stands in a strict Israelite position! Amphilochius had his Gens' Legend that they have Benjamin origine. The Gothian Church who represents +Ambrose has two local Bishops: David of Hersones and Dori Hilar of Tamantarchont & Redae. 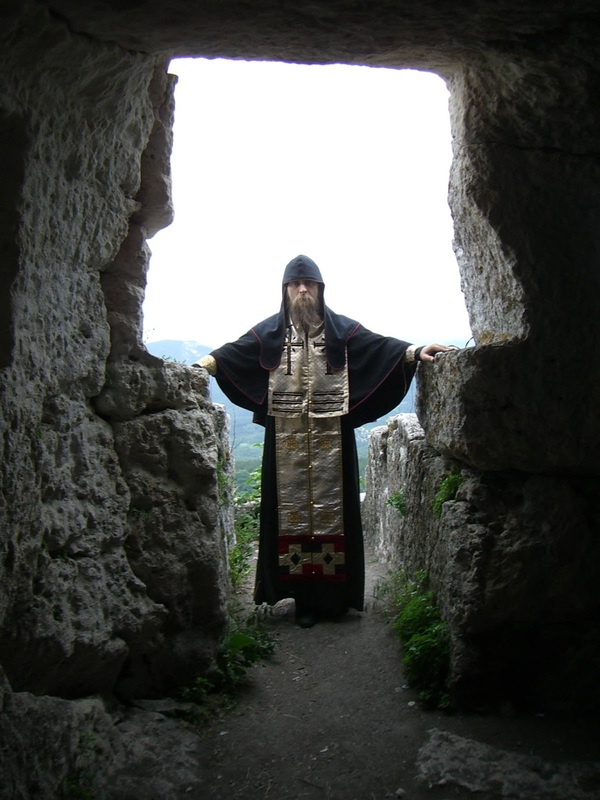 The Catacomb Church of True Orthodox Christians has 4 Bishops from 1 Gens of Amossoff. It's old Novgorodian Noble Gens. They have Gens Legend of origine from Haggi of Gad's Tribe.